You can also just put the board in DFU mode by moving the green jumper. By default its connected between BT0 and GND. If you move it to BT0 and 3.3v and plug in the USB cable, then you can program MicroPython using DFU. dfu-util -l does not show anything when board is plugged in. Just to be totally clear, I attached a photo which shows the green jumper in the correct position to be in DFU mode. Assuming that you're using linux, when the board is in DFU mode, what does lsusb show? By default the 3rd rw will be missing, and you'll need to add some udev rules. This page: https://github.com/micropython/micropyt ... -Discovery has instructions on creating udev rules which should correct the permissions. I am using linux (debian 4.12.0-1-amd64), and lsusb does not show the device, with syslog showing the " usb 1-1.2: device not accepting address 89, error -32" and " usb 1-1-port2: unable to enumerate USB device" messages every time I plug the board in. I think that the board is really defective. I will try to contact the seller. Anyway, thank you very much for your answers. The pinout difference is your board is a VET6 and dhylands photo is a ZET6. VET6 has the Micro USB port on the top left, ZET6 top right. Both have boot pin jumpers in the top right. Ok, the board was, indeed, defective. Got another one, up and running. Thank you. Together with the datasheet (easy to find) and the MicroPython SPI docs, it shouldn't be too hard to write a similar library for the chip in MicroPython. 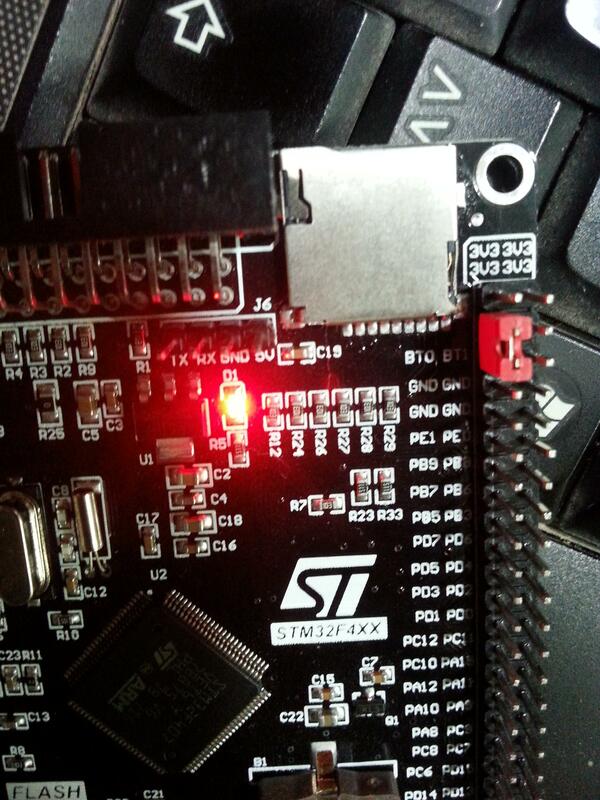 The W25Q16 2MB SPI flash is connected to the SPI(3) bus on the VET6 and ZET6 boards.